After graduation, you may apply for full-time position in Slovakia. The benefit is, that you do not need to ask for work permit and may apply directly to job position. Here is the process how to do it. Firstly you need to have job contract or promise from the employer that the job will be given after positive decision of the Foreign police. You may apply for Residence permit at foreign police latest 30 days from graduation at University. If you pass this limit, getting RP for employment may be very difficult. Which documents will you need? The police will decide within 90 days from an application. You are not allowed to work before the decision is made, but you can legally stay in Slovakia. There is possibility to use free consultations of IOM in Kosice and Bratislava. This article covers solely problematics of part-time jobs for students from 3rd countries. Conditions for citizens from European Union and European Economic Area is different! When a student from 3rd country receives Residence Permit card, he/she is entitled also to have a part-time job in Slovakia (we call Part-time job – “Čiastočný úväzok” in Slovak language). 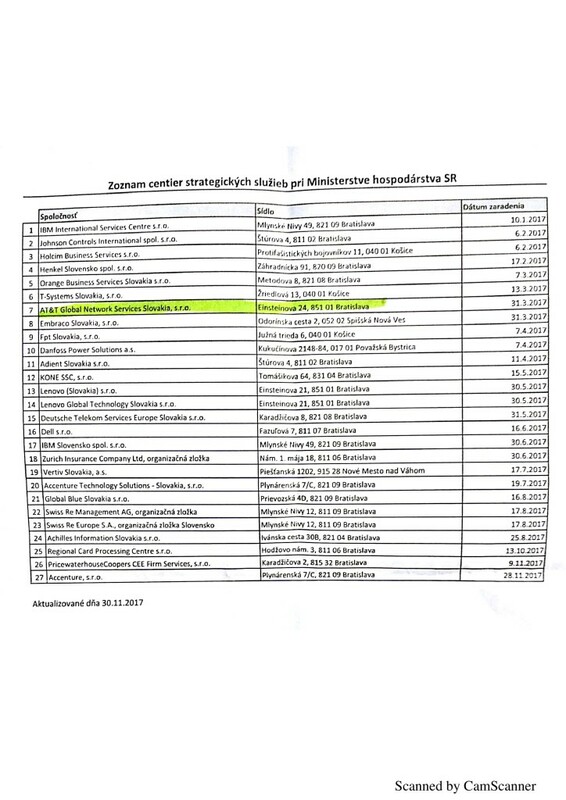 There are following limits: students of secondary schools in Slovakia may work up to 10 hours a week (on average in one year), while students of universities or colleges are entitled to work up to 20 hours a week (on average in one year). In the recent years, number of foreigners in Slovakia is growing rapidly. In 2015, there were 84787 foreigners (42% of them were from the 3rd countries); in 2016 this number grew to 87966 (42.3% of them were from the third countries). Most foreigners find jobs in automotive industry (Peugeot, KIA, Jaguar, Volkswagen and their suppliers) and international companies such as IBM, T-Systems, Delloite, Amazon and others. Low-qualified jobs (such as manual jobs, cashier, fast-food jobs): average wages for low-qualified jobs are around 2.5-3.00€ per hour. Most usually basics of Slovak language are required – not all managers speak English language, so it is natural, that they will require at least A2 level of speaking and understanding. These jobs are very popular also among Slovak students and there might be a big competition for free vacancy. High-qualified job (such as IT jobs, CNC operator, team leader etc): high-qualified jobs are much better paid and provide also great perspectives for future career. Employers are looking for graduates, who already have relevant jobs experience and they do not need to invest more money to their qualification. Moreover, employers may be willing to turn student´s part time job to full-time job after graduation. Internships: this option is appreciated especially by employers. The idea of an internship is providing your free time in exchange for knowledge and skills, which help you to get a job in the future. If student is not able to find part-time job during studies, we strongly recommend him/her to apply for internship and raise chances for employment. You can search for internships and other positions on AZU website: http://www.azu.sk/dashboard/zoznam/ or contact companies in your city and ask them if they provide internships for students. Where to look for part-time jobs during studies? High-qualified jobs: students qualified enough may apply directly to companies, which have part-time jobs opportunities for students. If you wish to apply to high-qualified jobs, most usually 2 documents will be needed to apply: Curriculum vitae and covering letter. Both documents should contain only relevant and tailored information for the position you wish to apply (do not forget to mention all jobs you had in the past; relevant projects you took part and skills that make you the best candidate). We also recommend spending more time with for mating of CV. 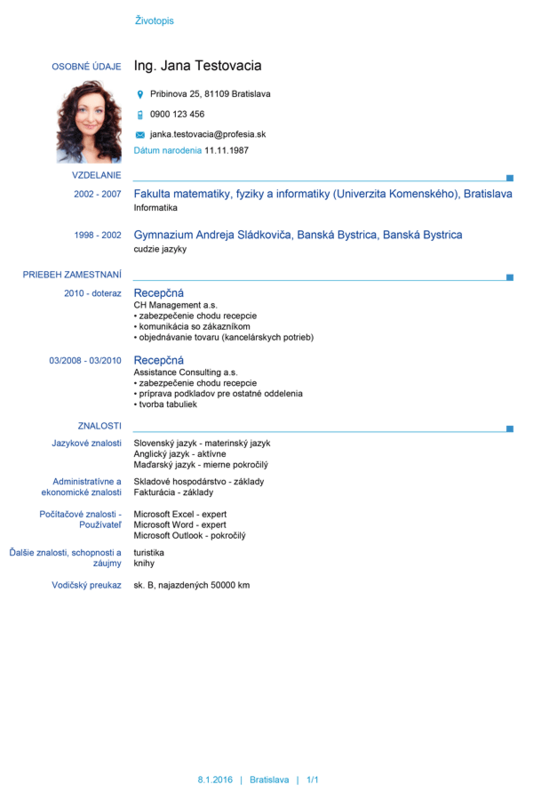 Some companies (such as Profesia) have online editors for CV which generate professional looking CVs. Currently, there is a big demand for IT and technical positions in Slovakia. Students can either apply directly to companies they wish to work for or use services of recruitment companies. These recruitment companies are usually specialised for high-qualified jobs. We recommend visiting these recruitment companies in person, so you can get all the needed information instantly. Very popular recruitment agencies in Slovakia are: Adecco – English friendly agency (branch in Kosice: Mlynská 28; branches in Bratislava: Prievozská 4, Mlynské nivy 45, Zelinárska 2); Edymax/McRoy – minimum level of Slovak language of B2 is needed (branch in Kosice: Mlynská 27, branch in Bratislava: Pribinova 4 (shopping mall Eurovea); Atena – at least level of B2 of Slovak language is needed (branch in Kosice: Mlynská 27, branch in Bratislava: Stromová 4) and Manpower – English friendly(branch in Kosice: Hlavná 24, branch in Bratislava: Dúbravská cesta 14, Lazaretská 8), Personel Efekt – English friendly Werferova 1, Košice or Slovenská 69 Prešov and Grafton Recruitment – English friendly – Murgašova 3, Košice or Obchodná 2, Bratislava. You can also visit Xawax – Hlavná 82, Kosice or Trenkwalder (Okružná 11 Michalovce and Mickiewiczova 9, Bratislava), STARSTAFF (Seberiniho 1 Bratislava or Hlavná 93, Košice), Arios Human Resources (Rozvojova 2, Košice) or Datur Group (Pod Furčou 7, Košice) You can also search online – the biggest portal for jobs in Slovakia is Profesia: www.profesia.sk or Careerjet (click to Čiastočný úväzok on the left side of the screen to get Part-time jobs). Valeo – supplier of BMW, Volkswagen, Audi a Škoda. Slovakia is located in central Europe and borders with Poland, Czech Republic, Austria, Hungary and Ukraine. There are plenty of travel destinations located close to Slovakia, such as Budapest, Vienna, Krakow etc. Universities and colleges in Slovakia run under European standars - students obtain ECTS credits, which makes their Diploma recognised in EU.